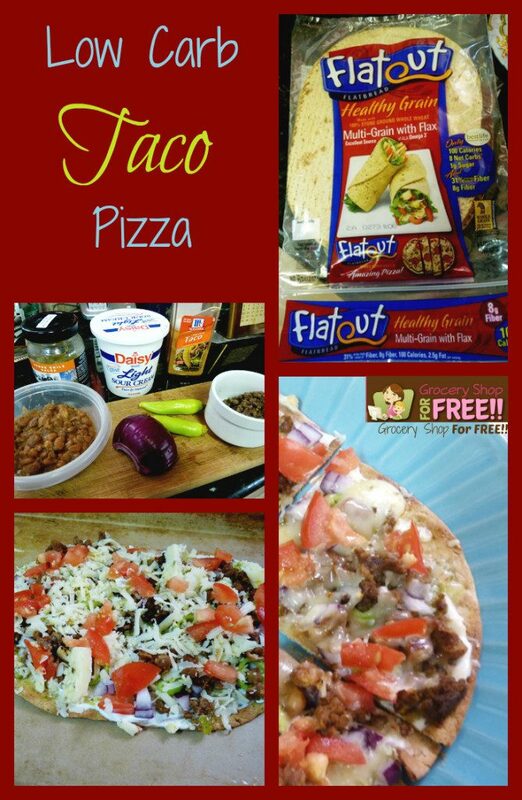 You are here: Home / Recipes / Dinner / Low Carb Taco Pizza! 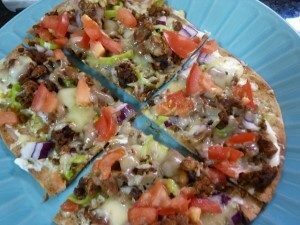 Susan is back with another great recipe! This one is for our low carb eaters! 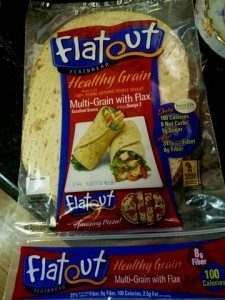 Bake the Flat Out Wrap (8 carbs) until toasted. 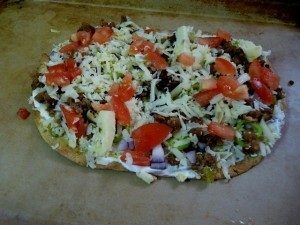 The wrap has to be a little crispy but not browned before you build your pizza. Put sour cream down on wrap and top with the salsa. 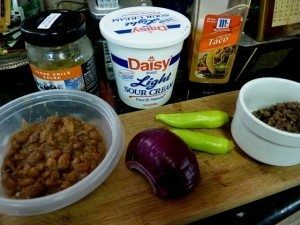 Then layer the beans, meat…then vegetables and put the cheese on top. Bake at 350 degrees until heated through and the cheese is melted. Cut into four pieces. This is below the 30 grams of carbs allowed for a meal, if you have a blood sugar issue and is low in fat and calories. Best of all, it is very tasty.